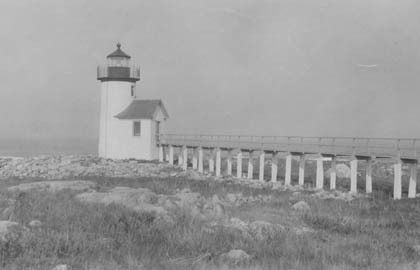 This unique 1906 photo shows the 315-foot walkway, the oil house and keeper house as well as Thacher Island’s twin lights in the distance. 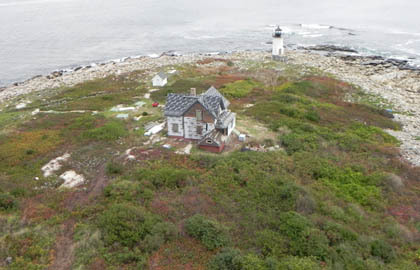 Aerial of the 31 acre Straitsmouth Island located off the coast of Rockport, MA. Keeper house during restoration of the new roof in 2011. 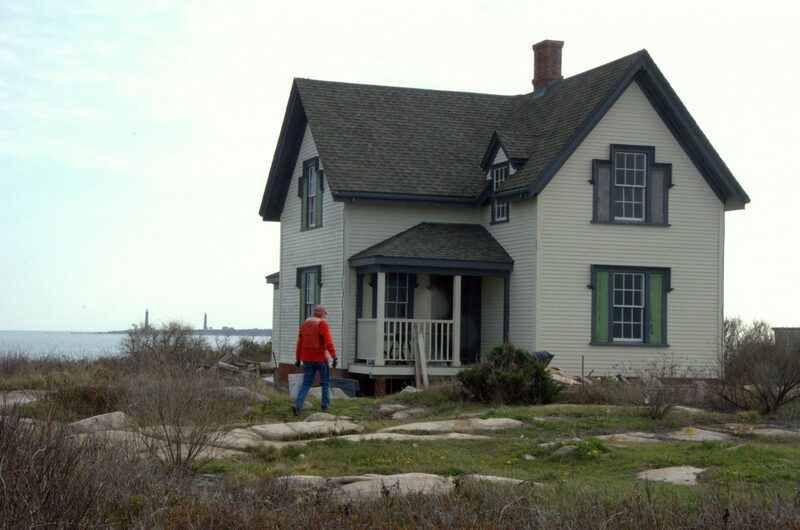 The three key structures that encompass the Straitsmouth Island Light Station, the keeper house, oil house and lighthouse. 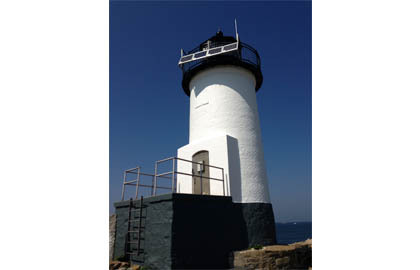 The 35 foot tall lighthouse was totally renovated in 2013. 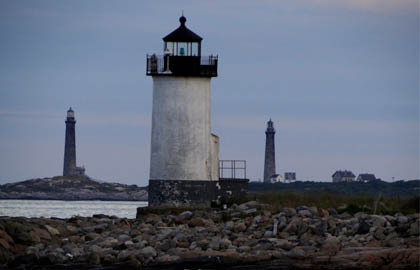 Thacher Island stands about a mile to the south of Straitsmouth Island. 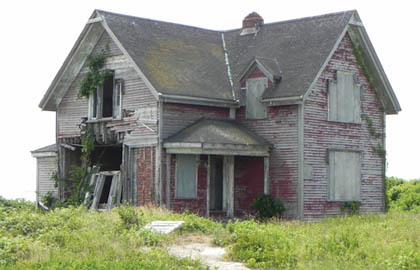 The keeper house before restoration began in 2011. 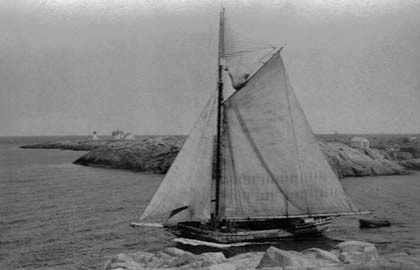 Granite sloop Albert Baldwin sailing through the “gap” in 1920. Boat house on the right built in 1867 and eliminated in 1937. 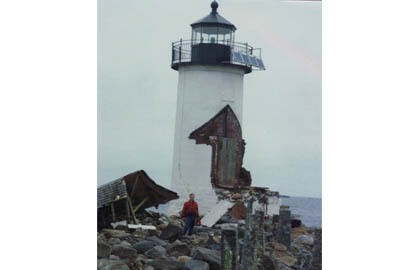 This 37 foot cylindrical brick tower replaced the 1851 tower in 1896 and still stands today. 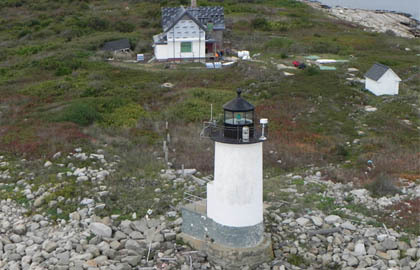 The light and fog signal was automated in 1990 using solar panels for power. 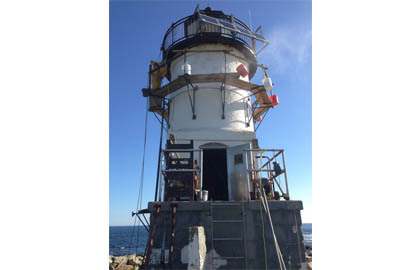 Coast Guard continues to maintain the light as an official aid to navigation today. 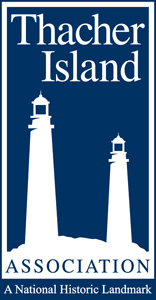 In 1967 the island (except for the lighthouse) was donated it to Massachusetts Audubon Society who maintains it as a wildlife sanctuary.